Diana Gabaldon has thrown out hints about the change in Murtagh’s status from dead to alive since he survived Culloden in season three. In this interview with PopSugar, Diana comments on the change and how the writers arrived at what do with Murtagh. We still don’t know what the writers have in store for Murtagh. Will he still be around in the already announced seasons five and six? 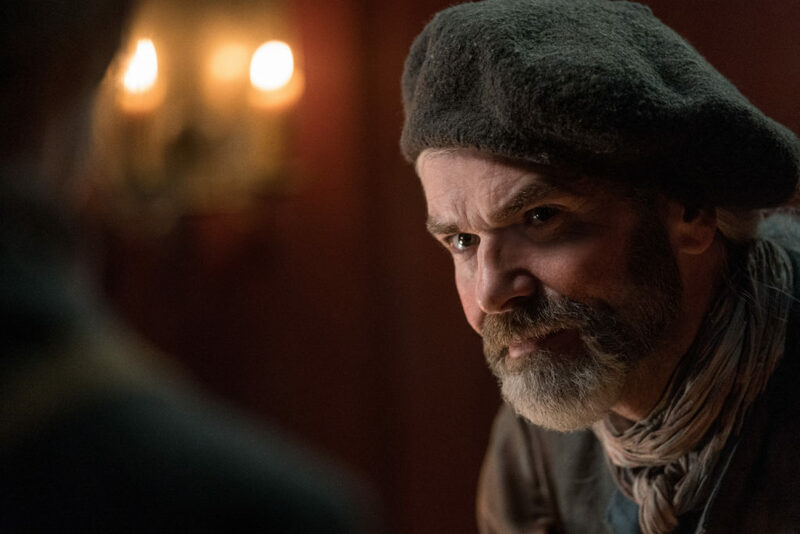 This entry was posted in Diana Gabaldon, Duncan Lacroix, Interviews and tagged Diana Gabaldon, Duncan Lacroix, Interviews, Murtagh, Savages, Season Four by Sarah Ksiazek. Bookmark the permalink.